Prostate cancer exists in every golf club. Every 45 minutes one man in the UK will die of prostate cancer, that's the time it takes to play 3 holes of golf. Find out more below and how your golf club or society can get involved in joining the fight against a disease affecting golfers across the UK. 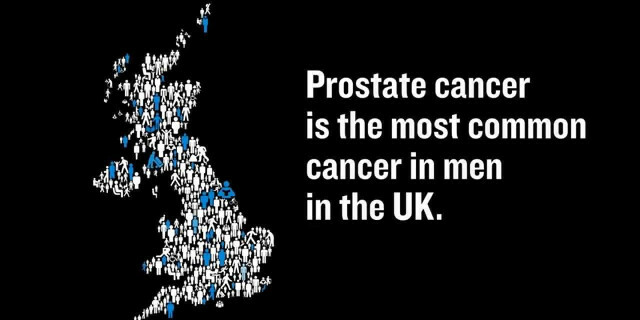 How and why is golf involved with Prostate Cancer UK? Find out why this group of golfers are involved with Prosate Cancer UK, what it means to them, how they are raising awareness and how it relates to golf. Are you at risk? Around 1 in 8 men will be diagnosed with prostate cancer at some point in their lives. Find out more about the story of the 'Man of Men' badge. What it means and how you can support. Find out how you can get involved, support the cause, raise awareness or run a society or club event.